I’m in Vegas, baby! 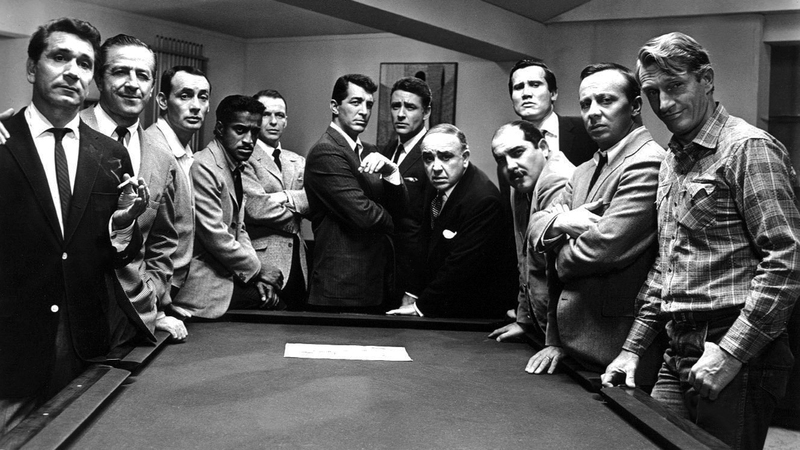 So what could be more fitting for today’s Saturday matinee than Oceans 11. The original 1960 iteration starring Rat Packers Frank Sinatra, Dean Martin, Sammy Davis Junior, Peter Lawford and Joey Bishop. Plus Angie Dickinson as the girl. I haven’t read its fictional forerunner and likely wouldn’t recognize it if I had, the story by George Clayton Johnson was changed substantially for the movie. Johnson is both an author and a screenwriter, co-writing Logan’s Run with William F. Nolan as well as numerous episodes of iconic television programs of the 50’s and 50’s including The Twight Zone, Route 66 and Honey West. If you know what that last one is, you’re either bald, going grey or a real TV geek. That’s all I have time for, I gotta go put some quarters in a one armed bandit, then go watch the water dance at the Bellagio. Sigh. Vegas has changed. Thank God movies like Oceans’ 11 remind us of how it used to be. 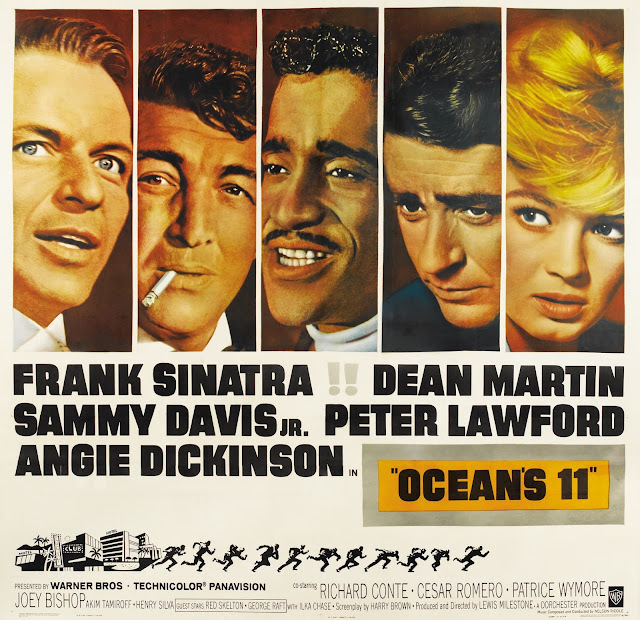 Oceans 11 is available on Amazon, YouTube, Vudu and GooglePlay.